Angelo Ciavarella focuses on advising clients on a wide range of tax matters with particular emphasis on domestic and cross-border corporate transactions, including mergers, acquisitions and divestitures, restructurings, tax-free reorganizations, leveraged buyouts and other major corporate transactions, as well as lending and other financing transactions. In addition, Angelo advises on the formation and operation of partnerships, limited liability companies and investment vehicles (including private equity and hedge funds) and their general partners and advisors, and partnership restructurings, acquisitions and divestitures. Angelo also advises on capital market transactions and financial products, including foreign and domestic stock and securities offerings, forward contracts, options, swaps, and other derivative contracts. 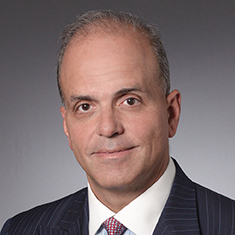 Angelo has represented clients in connection with real estate transactions, including advising real estate developers, domestic and foreign real estate investors, real estate investment funds, and REITS. Shown below is a selection of Angelo’s engagements.